An Aloha family reported feeling ill after eating candy collected in northern Aloha. The Washington County Sheriff's Office about a report of Halloween candy allegedly laced with methamphetamine in Aloha. Deputies responded to a residence in the 21600 block of Southwest Jay Street in Aloha at 2:20 p.m. Thursday, Nov. 1. They learned that a family of parents and two children had been trick-or-treating the evening prior in neighborhoods to the immediate northwest and south of their address. Their residence is located in northern Aloha to the east of Southwest Cornelius Pass Road. The parents called deputies Thursday afternoon after they consumed Sour Patch Kids candy collected while trick-or-treating and began to feel sick. The parents told deputies the candy wrapper had appeared to been fully sealed prior to being opened. 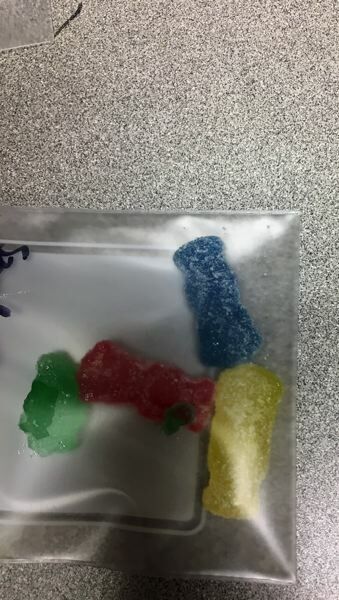 Deputies conducted field tests on the gummy candy, which tested positive for methamphetamine. The candy was seized and placed into evidence. "This information is being distributed to the community out of an abundance of caution and in the interest of public safety" according to a press release. The sheriff's office has received no other reports regarding Halloween candy being altered or tampered with and are not aware of such reports being made to any neighboring law enforcement agencies.